For actors in the early planning of EV usage the identification of potentials will be done by vehicle fleet simulations and ex-ante assessment of vehicle use. 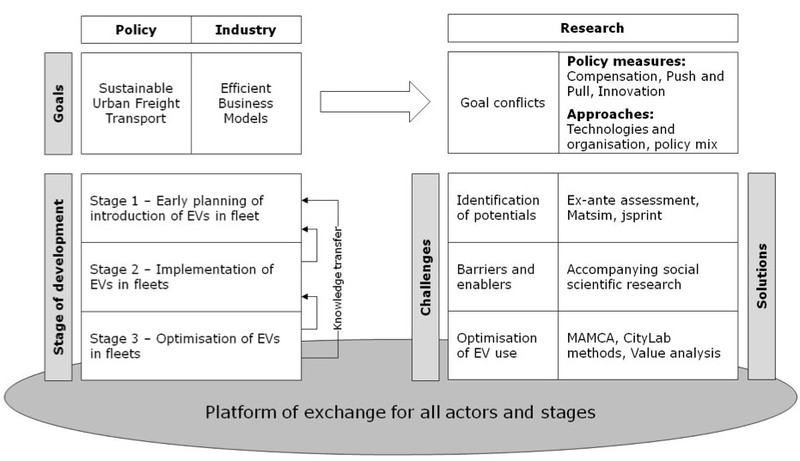 For actors in the second stage of development, who are in the implementation phase of EVs, accompanying research will help to identify and ease barriers for the EV usage. The major activity in the project will be focused on analysis of the best locations for additional charging stations and support for the implementation process. Furthermore, the analysis of the efficiency of utilization of electric van for daily activities in the chosen business stakeholder will be made. The major assumption is to analyse the influence of different conditions (like traffic, congestion, seasonal factors, weight of cargo, number of deliveries etc.) on the efficiency of EV work. The results of the analysis will be drivers for better utilization of EV in city logistics. For actors which already have first experiences in the use of EVs, the optimization of EV implementation will be supported by in-deep analysis of all elements of EV usage. For this case country specific best practise of EV implementation will be analysed like large scale implantation of EV in logistics (E-duty vehicles and trucks). One focus will be on issues like challenges of grid-integration of large EV-fleets and necessary charging strategies. Independently from the stage of development, there is a potential conflict between the public and private sector goals. Against this background, it will be analysed how national framework conditions influence the deployment of EVs in urban commercial transport in different European countries. The success of the methods applied will be assets in the project. Experiences in the use of EVs in urban freight and city logistics will be exchanged between all different stages and countries. Strong links to the beneficiaries of the project results and relevant stakeholders will accompany the development of the tools and the platform of exchange. The assessment process aims to identify the achievements and barriers as well as the drivers that affect the implementation of EUFAL activities. The assessment also includes the evaluation of the developed platform of exchange and the integrated tools. 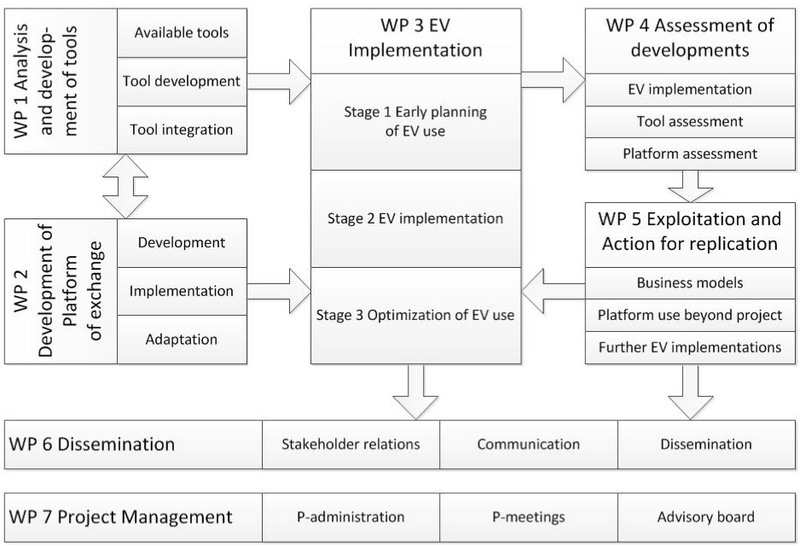 WP5 Exploitation and Action for Replication Development and implementation of the exploitation strategy and plan of the project to enhance innovation beyond the project scope and to assure the sustainable use of the EUFAL platform. The focus is on knowledge exchange to meet user needs.